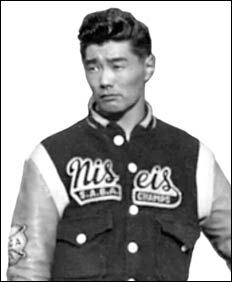 Right - Shortstop Nobby Hayashi, imported from New Denver, was a member of the 1953 Southern champion JCCA (Japanese Canadian Citizens' Association) Niseis of the Big Six League. Niseis engineered a huge upset to down Lethbridge Cubs in two straight games to captured the Southern title before losing to the Lacombe Rockets in the Alberta Senior final. 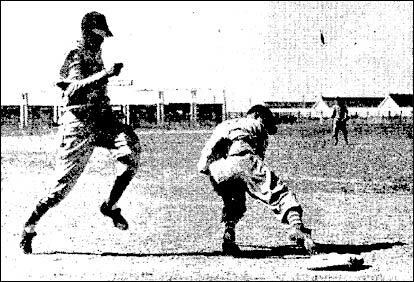 Roberto Barbon of the Indian Head Rockets is thrown out at first base. in action at the Lethbridge Rotary Tournament. 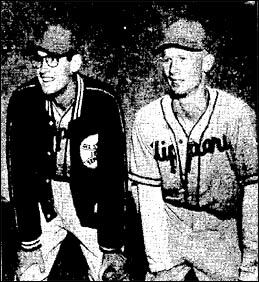 Before he became a National Hockey League all-star and a Hall of Famer, Norm Ullman (left) was a junior baseball star in Edmonton. 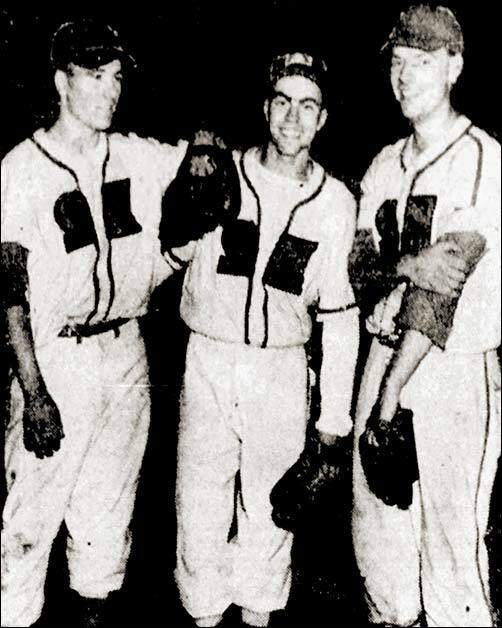 Seen here with Max Yeske (centre) and Al Smith. Ace Tire and Battery won the northern Alberta junior baseball championship defeating Murray's Outlaws 9-8 in the final game of their best-of-three series. Ullman was the winning pitcher, although facing just three batters. Yeske went the first eight-and-one-third frames, while Smith was hit by a pitched ball in the ninth inning with the bases loaded to force in the winning run.